There are 3 videos in this series and they have statements by 150 academics and scientists and I hope to respond to all of them. According to the website CLOSER TO TRUTH: Mark Balaguer is Professor of Philosophy, California State University, Los Angeles. 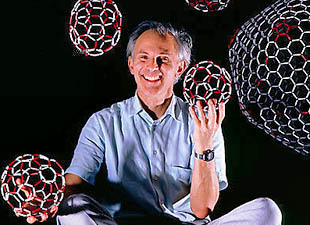 His research interests are in philosophy of mathematics and language. Mark’s major book isPlatonism and Anti-Platonism in Mathematics. He received his PhD Philosophy from City University of New York Graduate Center. In the first video below in the 38th clip in this series are his words and my response is below them. Isn’t that a category mistake, trying to prove something in the physical world, something that is by definition outside of it? “Well you could find evidence for it, I mean, If he created the world then there might be evidence that he created the world, so It’s not completely isolated. Abstract objects are completely isolated so it would be, I think a category mistake to look for evidence of abstract objects in the physical world. So I think that’s not an empirical question and I think that is a factually empty question. But the God question is different because God is supposed to interact with the physical world, he made the world. I saw your interview on CLOSER TO TRUTH and that prompted me to write you today. Let me start off by saying that this is not the first time that I have written you. Earlier I shared several letters of correspondence I had with Carl Sagan, and Antony Flew. Both men were strong believers in evolution as you are today. Instead of talking to you about their views today I wanted to discuss the views of you and Charles Darwin. TWO THINGS MADE ME THINK OF YOU RECENTLY. On April 5, 2015 at the Fellowship Bible Church Easter morning service in Little Rock, Arkansas our pastor Mark Henry described DOUBTING THOMAS and that description made me think of you. Moreover, your skeptical view towards Christianity reminds me of CHARLES DARWIN’S growing doubts throughout his life on these same theological issues such as skepticism in reaction to the claims of the Bible!!! I’m an evangelical Christian and you are a secularist but I am sure we can both agree with the apostle Paul when he said in First Corinthians 15 that if Christ did not rise from the dead then Christians are to be most pited!!!! I attended Easter services this week and this issue came up and Mark Henry asserted that there is plenty of evidence that indicates that the Bible is historically accurate. Did you know that CHARLES DARWIN thought about this very subject quite a lot? YOU MAY FIND IT INTERESTING THAT CHARLES DARWIN WAS ALSO INTERESTED IN THE HISTORICAL ASPECT OF THE BIBLE. When I read the book Charles Darwin: his life told in an autobiographical chapter, and in a selected series of his published letters, I also read a commentary on it by Francis Schaeffer and I wanted to both quote some of Charles Darwin’s own words to you and then include the comments of Francis Schaeffer on those words. I have also enclosed a CD with two messages from Adrian Rogers and Bill Elliff concerning Darwinism. I have been amazed at the prophecies in the Bible that have been fulfilled in history, and also many of the historical details in the Bible have been confirmed by archaeology too. One of the most amazing is the prediction that the Jews would be brought back and settle in Jerusalem again. Another prophecy in Psalms 22 describes the Messiah dying on a cross almost 1000 years before the Romans came up with this type of punishment. Many times it has been alleged that the author of the Book of Daniel was from a later period but how did a later author know these 5 HISTORICAL FACTS? How did he know  that Belshazzar was ruling during the last few years of the Babylonian Empire when the name “Belshazzar” was lost to history until 1853 when it was uncovered in the monuments? The author also knew that the Babylonians executed individuals by casting them into fire, and that the Persians threw the condemned to the lions. He knew the practice in the 6th Century was to mention first the Medes, then the Persians and not the other way around. Plus he knew the laws made by Persian kings could not be revoked and  he knew that in the sixth century B.C., Susa was in the province of Elam (Dan. 8:2). Of course, the Book of Daniel (2:37-42) clearly predicted the rise of the 4 world empires in the correct order of Babylon, Medo-Persia, Greece, and Rome. One of the top 10 posts on my blog on this next subject concerning Tyre. John MacArthur went through every detail of the prophecy concerning Tyre and how history shows the Bible prophecy was correct. Sagan said he had taken a look at Old Testament prophecy and it did not impress him because it was too vague. 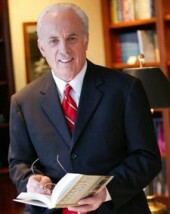 John MacArthur on the amazing fulfilled prophecy on Tyre and how it was fulfilled by historical events. a) That King Nebuchadnezzar of Babylon would destroy the mainland city of Tyre (26:7-8). b) That many nations would rise up against Tyre. These nations would come like waves of the sea, one after another (26:3- 4). c) That Tyre will be made like a flat rock (26:4, 14). d) That fisherman will dry their nets there (26:5, 14). e) That the rubble of the city would be cast into the sea (26:12). f) That Tyre would never be rebuilt (26:14). Tyre was a great city. It was one of the largest and most powerful cities of Phoenicia, which is modern day Lebanon. It was well fortified. A great wall protected the city from land attacks while their world-renowned fleet protected them from attack by sea. Tyre was a flourishing city during the time when Joshua led Israel into the Promised Land. King Hiram, who began his reign during the rule of David, offered David cedars from Tyre to build his palace. He also loaned David his artisans to craft parts of the great palace (1 Chron. 14:1). Hiram also helped Solomon build the Temple by floating cedars down the shoreline to be picked up and hauled to Jerusalem (2 Chron. 2:16). So Tyre was a great city, and both David and Solomon looked to it for aid. Not long after the prophecy given by Ezekiel, Nebuchadnezzar did exactly what had been predicted–he laid siege against the city in 585 B.C. For thirteen years Nebuchadnezzar cut off the flow of supplies into the city. In 537 B.C. he finally succeeded in breaking the gates down, but found the city almost empty. During the thirteen-year siege, the people of Tyre moved all their possessions by ship to an island one-half mile offshore. So Nebuchadnezzar gained no plunder (Ezek. 29:17- 20). Although he destroyed the mainland city (Ezek. 26:8), the new city offshore continued to flourish for 250 years. The prophecy of Ezekiel 26:12–“they shall lay thy stones and thy timber and thy dust in the midst of the water”–remained unfulfilled. At age twenty-two, Alexander the Great came east conquering the known world with an army of between thirty and forty thousand men. Having defeated the Persians under Darius III, Alexander was on the march toward Egypt. Alexander arrived in the Phoenician territory and demanded that the cities open their gates to him. The citizens of Tyre refused, feeling they were secure on their island with their superior fleet. Realizing he did not have a fleet that could match Tyre’s, Alexander decided to build a causeway to the island using the ruins from the mainland city. It was about two hundred feet wide. The prophet said that the city would be thrown into the water, and that’s exactly what happened. Arrian, a Greek historian, wrote about the overthrow of Tyre and how it was accomplished (The Campaigns of Alexander [New York: Penquin, 1958], pp. 132-43). The fortification of Tyre resembled Alcatraz. The city sat offshore like a rock with walls that came down to the edge of the water. Alexander set out to build the only means to approach the city–a land peninsula. Soldiers started pitching rubble into the water, leveling it off as they went so they could march on it. The water got deeper as they approached the island, and to make their task even more difficult, the people of Tyre bombarded them with missiles. Werner Keller in The Bible as History tells us that to safeguard the operation, Alexander built mobile shields called “tortoises” (New York: Bantam, 1956], p. 361). Knowing that when they reached the city they would have to scale the walls, Alexander built “Hele-poleis,” which were mobile siege towers 160 foot high. The idea was to roll these structures across the causeway and push them up against the walls. A drawbridge on the front of the towers enabled the soldiers to march across the top of the walls and into the city. Alexander’s men were under constant attack from people within the city and from the Tyrian navy. Realizing that he needed ships to defend his flanks, Alexander returned to the cities he had conquered and demanded their assistance. That fulfilled the prophecy that God “will cause many nations to come up against thee, as the sea causeth its waves to come up” (Ezek. 26:3). Alexander’s plan succeeded. Eight thousand people were slain and thirty thousand were sold into slavery. It took Alexander seven months to conquer Tyre. The causeway he built can be seen to this day. How did Ezekiel know all those things would happen? The only explanation is he expressed the mind of God. Historian Philip Myers said, “Alexander the Great reduced it [Tyre] to ruins (332 B.C.). She recovered in a measure from this blow, but never regained the place she had previously held in the world. The larger part of the site … is now as bare as the top of a rock–a place where the fishermen that still frequent the spot spread their nets to dry” (General History for Colleges and High Schools [Boston: Ginn and Co., 1889], p. 55). That fulfills the prophecies of Ezekiel 26:4-5, 14. The island city was repopulated, later to be destroyed by the Moslems in A.D. 1281. However, God said the mainland city would never be rebuilt–and it never has. Jerusalem has been rebuilt many times but Tyre will never be rebuilt because a prophet in Babylon said twenty-five centuries ago, “Thou shalt be built no more” (Ezek. 26:14). « Bret Bielema at Little Rock Touchdown Club entertained the sellout crowd of more than 700 with humor and homespun stories!